I was on Oahu for work recently and had the opportunity to get some awesome sushi. I haven’t had the chance to eat at Takenoko Sushi in Hilo for a long time and have been craving sushi. As soon as I knew I was heading to Oahu, I reached out to Morio’s and I lucked out and got a reservation. I had been there once before with Charles, Al, and Scott and had a fun and oishii time. (Click here to read about my first Morio experience.) 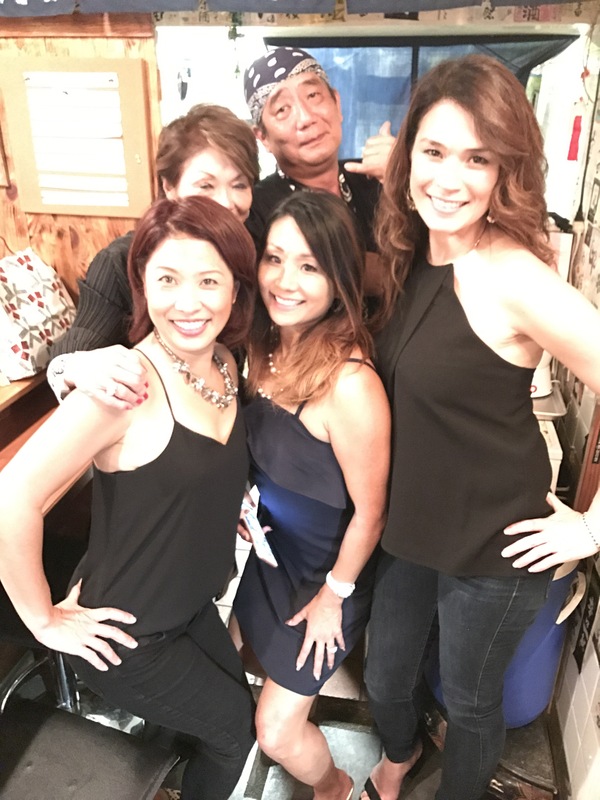 This time around, my brother and his wife couldn’t join me but some of my other friends were on Oahu for work and they could meet me for dinner. We all had the omakase menu–if you are going to order omakase, you have to put in your order at least 24 hours in advance. In addition, this restaurant, like Takenoko, is a BYOB restaurant. 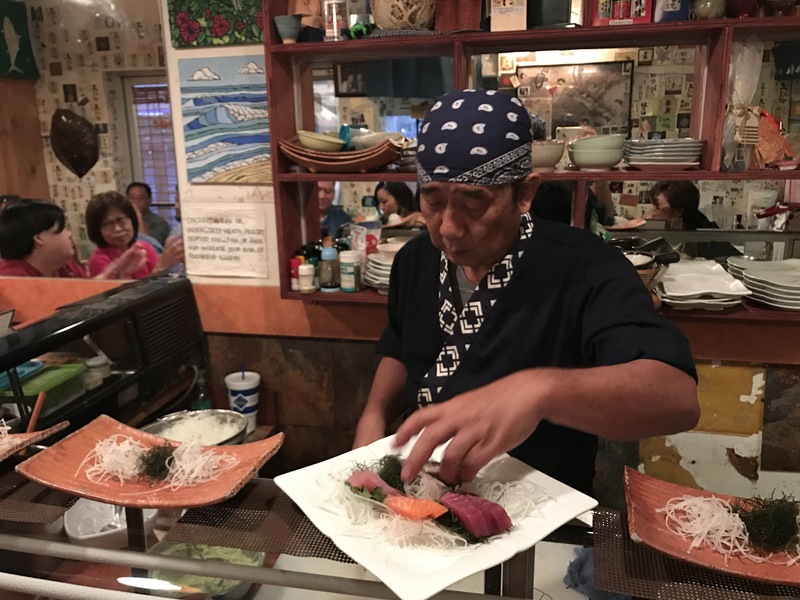 We sat at the bar in front of Morio and enjoyed his company as he served dish upon dish of deliciousness! So many courses! We did our best and finished it all!